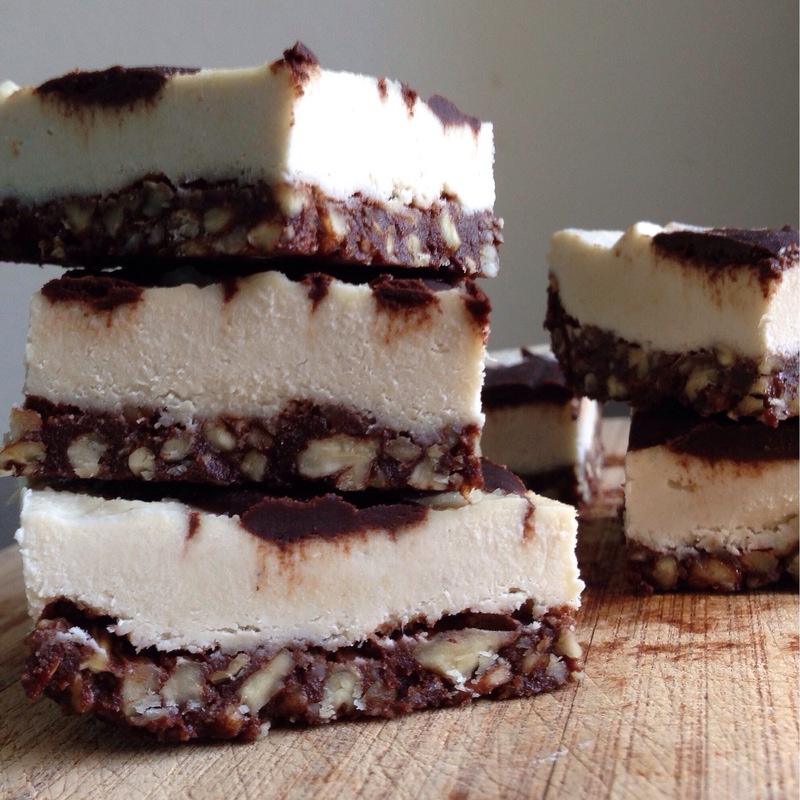 Chocolate Swirl Cheesecake Bars. [they’re raw!] | Eat More Plants. 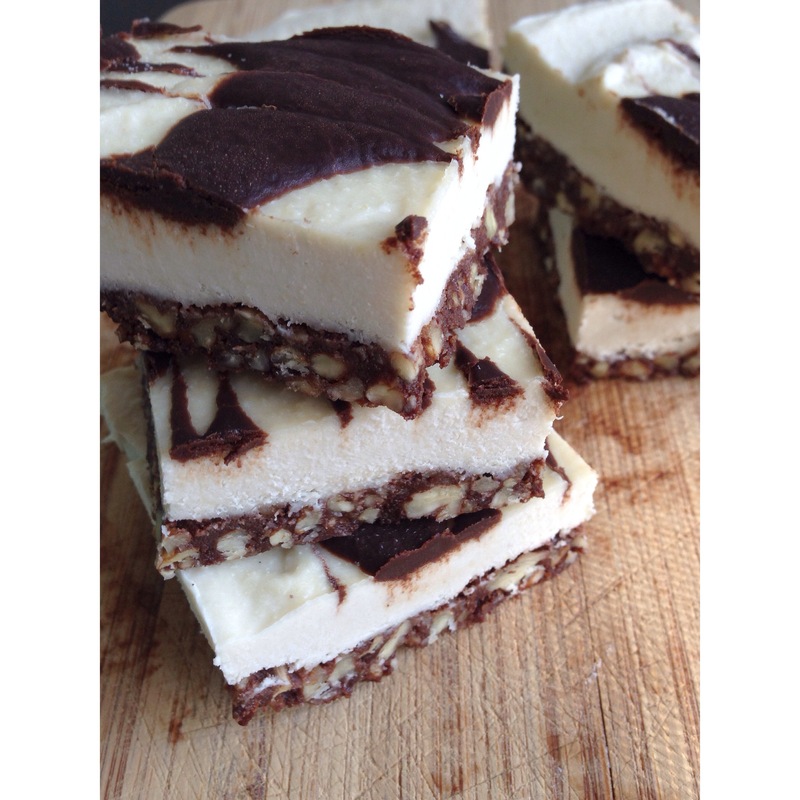 Just when I think I’ve made every raw vegan dessert…I find a recipe for chocolate cheesecake bars! From one of my favorite foodie websites, The Detoxinista. I saw her pictures, read the ingredients and couldn’t resist making these. What I ended up loving the most about these gems is the crust. 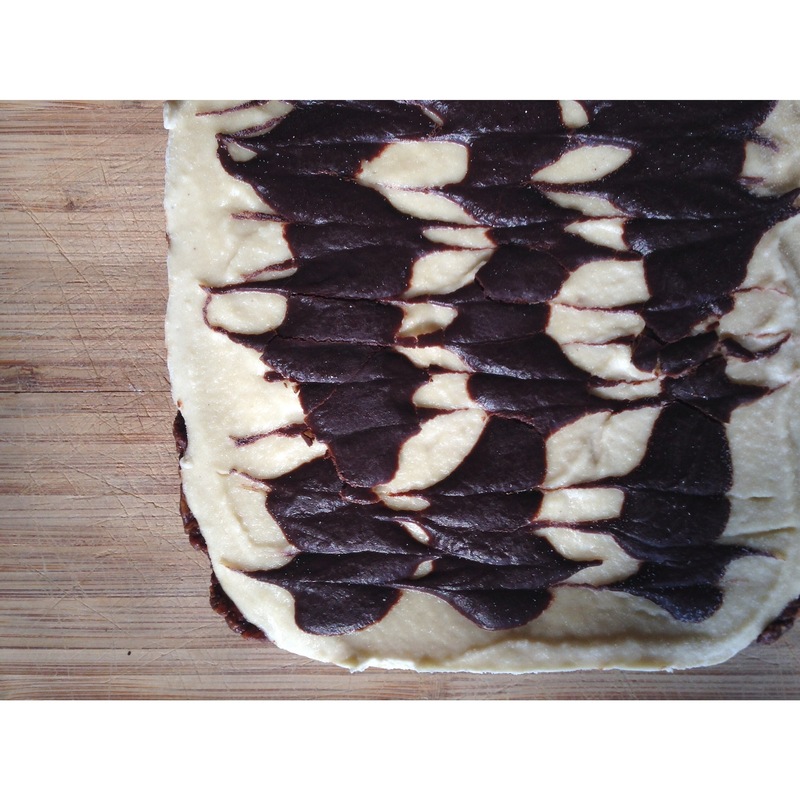 A very simple pecan & chocolate crust but oh so perfect. Chocolate-y, crunchy, slightly sweet & salty. All my favorite things. There’s even zucchini in here! I always love the addition of a hidden vegetable. No way in hell anybody would guess it’s in there. Process the pecans just until crumbly. Add the remaining ingredients and process until moist and well incorporated. Don’t over process or else you’ll get a chocolatey, pecan butter. Press evenly into the bottom of a square 6 inch pan, lined with wax paper or plastic wrap. Set in the freezer or fridge until the next layer is ready. Process all ingredients until totally smooth. Stop and scrape down the sides if necessary. Pour the filling over your cold crust and smooth out if needed. Pour the sauce in three or four straight lines over the filling. Without pressing deeply, drag a toothpick or a knife back and forth through the chocolate lines in the opposite direction you poured them. Check the detoxinista’s website to see a clearer picture of this part if you’re not sure about it. Freeze your pan for at least 4 hours. To remove from the pan, pull the wax paper or plastic wrap out by each end to loosen the cheesecake and transfer it to a cutting board. Haha! Blueberry cheesecake sounds really good…next project! !